Last month in Rick Warren Begins Pushing Purpose Driven Lfe Again In Secular Media here at Apprising Ministries I reminded you once again that John Piper asked Seeker Driven pragmatist Rick Warren to be a keynote speaker for the Desiring God Conference 2010. So as I said before, as Warren began his media blitz again pushing his magnum opus The Purpose Driven Life, he actually has more support backing him in Christian circles than ever before. Despite PDL’s serious and numerous doctrinal deviations,1 this now also includes the Reformed and New Calvinist camps. Yet sadly, Rick Warren appears well-versed in double-speak through his years of training by Leadership Network; and his “file card orthodoxy” does serve him well in the public arena. With this in mind then, I point you to Rick Warren talks about the future of evangelicalism over at BBC News Magazine. 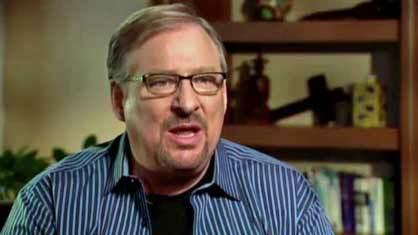 Rick Warren has been one of the most influential spiritual leaders in the US. The founder of the Saddleback mega church, Warren gave the invocation at Barack Obama’s first inauguration, and his book, A Purpose-Driven Life, sold more than 30 million copies.